Mark Rothko lived in New York in the 40’s and 50’s and was from Russian Jewish immigrant parents. He had bipolar and was an exceptionally talented, enormously successful artist–the only abstract expressionist to have his own retrospective at the MOMA while still alive. He wrote lively essays on the relation of art to modern life and ancient mythology, and the primitive genius of children to create contemporary abstract art without training or coaxing. He was, like many intellectuals of this time, bewitched and bewildered by that 20th century trifecta: Freud, the unconscious and Nietzsche. Although once associated with minimalist and surrealist schools in New York, Rothko’s work gradually shifted away from any kind of representative art to explore fields of pure colour, first within representative confines of his other paintings. 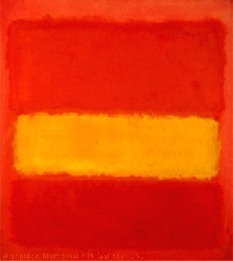 Colour then, and the thing for which Rothko has garnered enduring fame, is incidental. 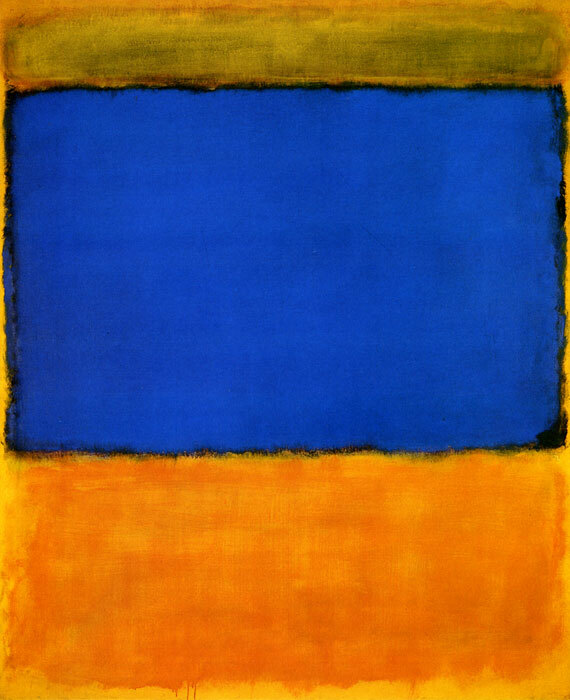 It is not the bewitchment of the eye Rothko aims for, but colour as a portal into human emotions writ large and drawn in mythic proportions. 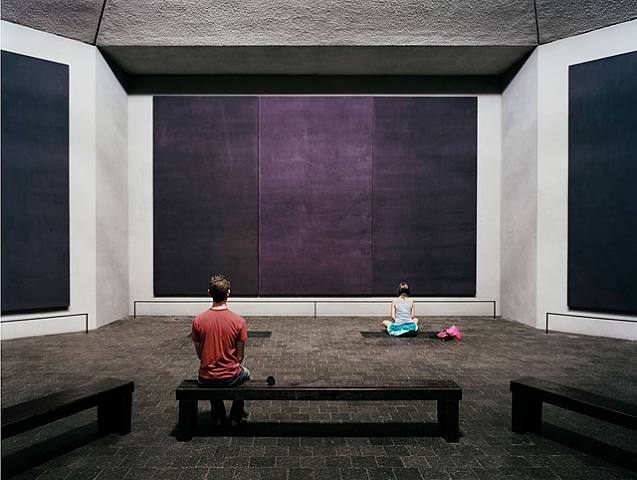 On February 25th, 1970 Rothko committed suicide, and in 1971 in Houston Texas the Rothko Chapel was opened, a non-denominational ecumenical space that serves not only as a place of worship but a major work of art, with 14 brooding dark and purple giant Rothko canvasses creating, controlling, dominating and suffusing the space with spirituality, mood, colour and myth. 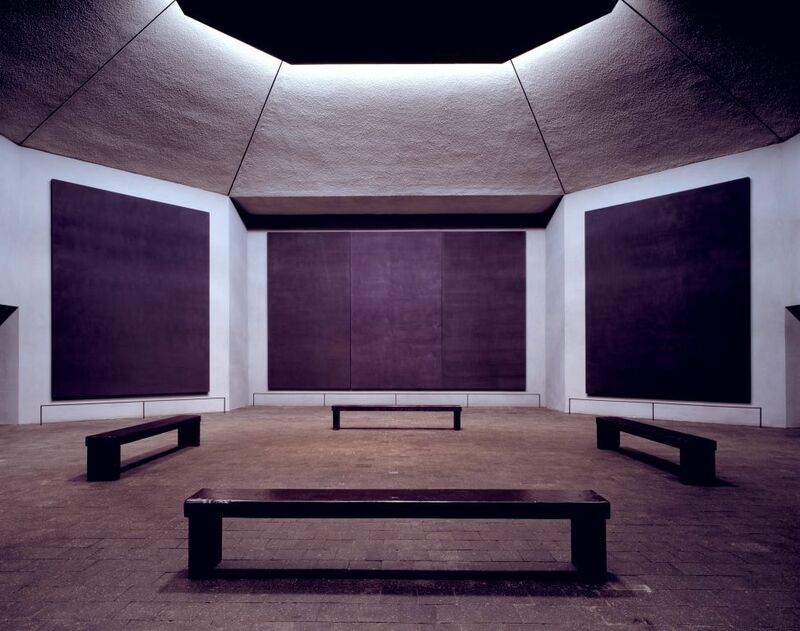 Although it was completed after his death, with the chapel Rothko completed his journey from art as representation to art as pure vibration and mythology. In 2009 National Geographic included the chapel in their book Sacred Places of a Lifetime: 500 of the World’s Most Peaceful and Powerful Destinations. 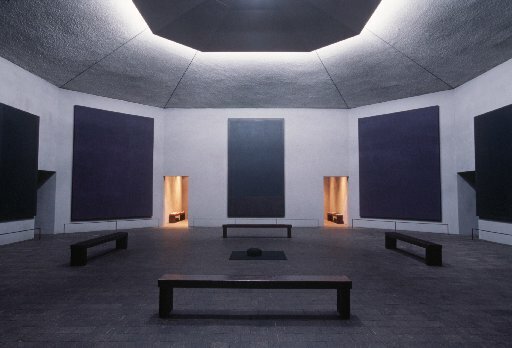 Along with his large body of work, and the chapel, Rothko’s reputation as a modern myth maker, of using art as the ancients did to create sacred spaces and overawe and humble the viewer into a positions of spiritual submission remains intact. 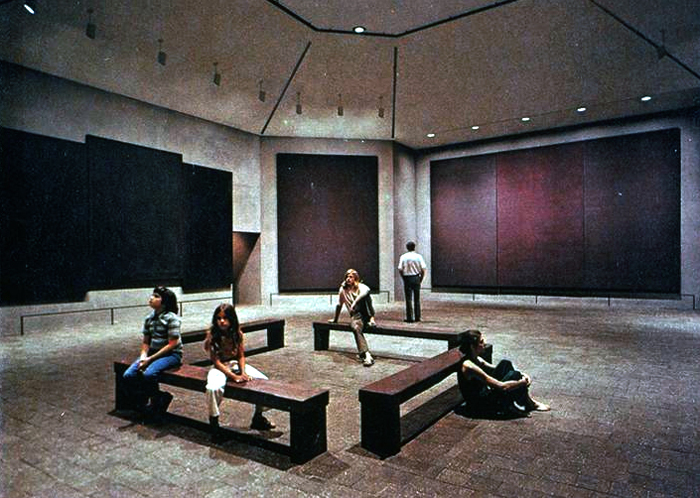 In some sense, walking though a silent museum room with rows of Rothko’s striped, banded, glimmering, brilliant art adhered to the walls is similar in experience to walking through the grounds of the temples of Ankor Wat in Cambodia; like those ancients, Rothko saw the function of art was not to entertain but to evoke. To render the mythic, and perhaps God, in a single broad stroke of colour across canvas, or in the case of the Khmer’s in Cambodia a thousand years ago in a temple bas relief or intricately carved lintel, is arts only true function. Everything else is fickle and puerile and superfluous.